The opening week on the Harriman State Park section of the river is the top story. The opening day on June 15th was overcast with cooler weather and light winds. Another bonus was the flows increased from Island Park Dam. Such conditions usually make for good fishing. Unfortunately things changed the next day with bright sunny, windy weather which has been the case ever since. When the wind stays down in the morning there has been some good dry fly action with Rusty Spinners. So far we have not seen the kind of Green Drakes we hope to see. If we can luck out and get a cloudy day or two the Green Drake activity should improve. The Brown Drakes are now in full swing during the evening hours. The best action has been on the lower Ranch from Wood Road #16 up through Bonefish Flats. One of the challenges of fishing Brown Drakes is the spinner fall occurs during the emergence of the duns. Most of the time the fish will key on the spinners but you may also need Brown Drake Emergers, Cripples, and Duns. One of the best patterns is our Extended Body Brown Drake in size 10. During the late morning and early afternoon hours look for Pale Morning Duns. Flavs are just around the corner. Box Canyon has also provided consistent action using nymphs. Use a size 6 Rubberlegs with a #16 Zebra or PT Flashback and you’ll get your line stretched. If you are patient and want the excitement of the dry fly, use a size 8 Henry’s Fork Foam Stone. You can also double up with a nymph dropper to increase your chances. Look for conditions to change as additional flows are expected from the Island Park Dam to meet irrigation demand. We predict the flows will reach over 1500 cfs by this weekend. 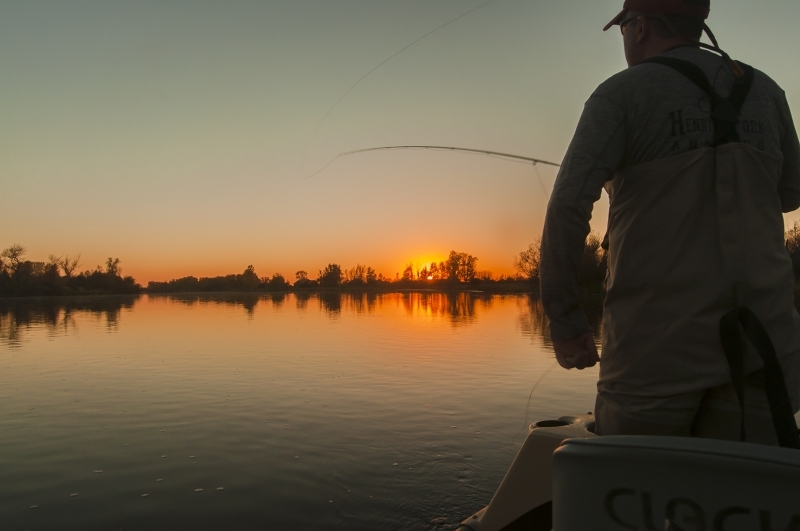 The Warm River to Ashton stretch offers the most consistent fishing. 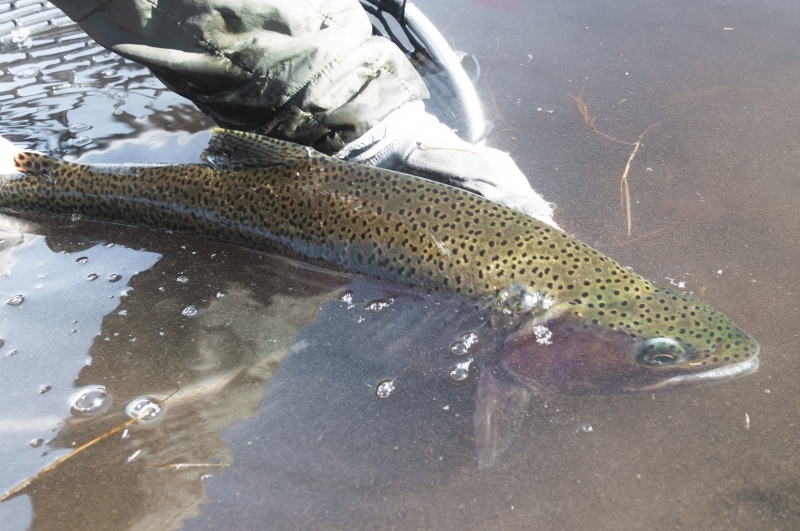 You can get trout to come to the surface with a Chubby or stonefly imitation but the best fishing is with Rubberlegs, Zebra Nymphs, or Two Bit Hookers. Dry fly action has started to play out downstream from the Ashton Dam. The water is up making wading a little more difficult but it helps keep the water temp down so the bugs will keep hatching. There are still a few drakes, PMDs, and caddis but things aren’t very exciting in the bright hot weather. Some of the best fishing has been in the afternoon hours when the Flavs are coming off. We recommend a Flav Cripple in size 14. The big bugs are starting to show at Varney and are moving up the river fast. This week should be the week. We like the Henry’s Fork Foam Stone in size 4 or 6. Sometimes a smaller Golden Stone pattern will also produce results. There are also caddisflies and smaller stoneflies. Remember, the Madison River is only a 45 minute drive from the Henry’s Fork. It is definitely worth the trip. It’s starting to happen. While not as well-known as the Henry’s Fork and Madison, the Teton River can hold its own for both quantity and quality of fish. The water is still a little high on the lower section making wading difficult. 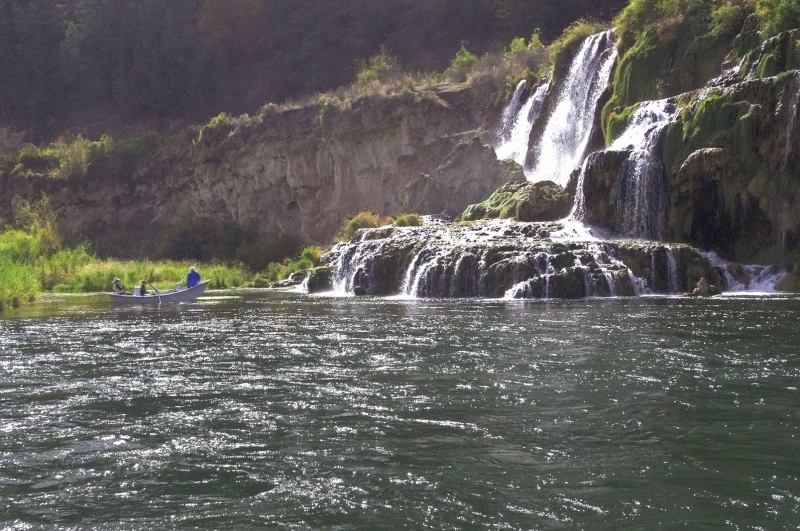 Our guide clients have been hooking some very large trout and landing a few of them. The section from the old dam site downstream to Hog Hollow will be a great option for the next couple of weeks. While the Gray Drake hatch only happens on the Henry’s Fork on high water years, it is always strong on the Lower Teton. Our favorite pattern is a size 12 Parachute Adams or Adams Split Flag. Look for PMDs to get going on the Upper River. 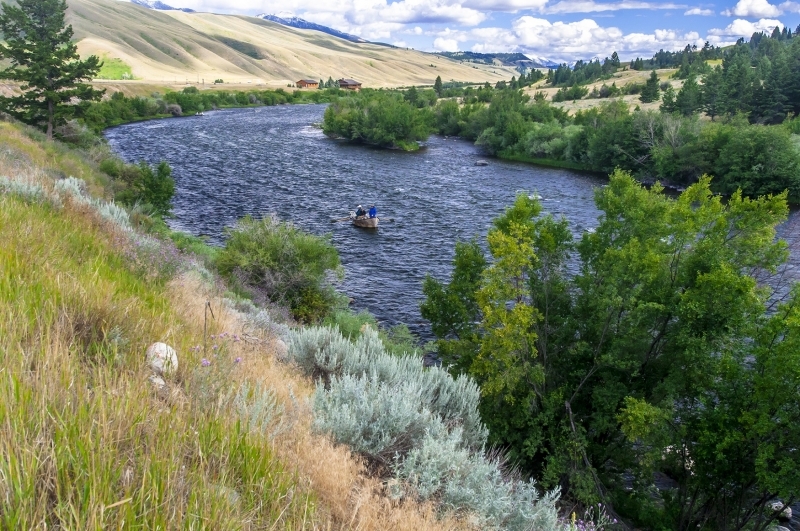 If you have never fished the Teton River in the Basin you’re missing a great opportunity. There is great access, flat water, and some nice fish. Your biggest danger is you might have a run-in with a moose or get run down by an errant paddle boarder. There are also some great restaurants in Driggs, especially if you like Thai food. It’s on! The flow is still a little higher than I’d like but the great thing about a big river like the South Fork is that the trout seek out the same kind of water to feed. When the river is up the fish move up on the gravel bars and into the side channels. Later on when the flows drop they move until they find the same type of water. I always wade wet because I never need get in deep enough to make my voice change. PMDs are just starting with a few Green Drakes. There are also a few Yellow Sallies. No solid evidence of Salmonflies or Golden Stones but it should start up this week. Overall the fishing is very good and should only get better. ​The Madison, Firehole and Gibbon have slowed due to warm weather. This time of year some of the best fishing is on the smaller streams. 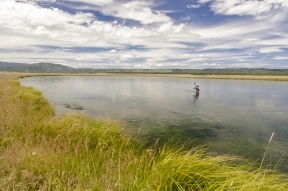 The Upper Gallatin and the headwaters of the Gibbon are good options, For larger trout look for Cutthroats cruising the shorelines of Yellowstone Lake.